Can we take a moment to talk about Fendi? 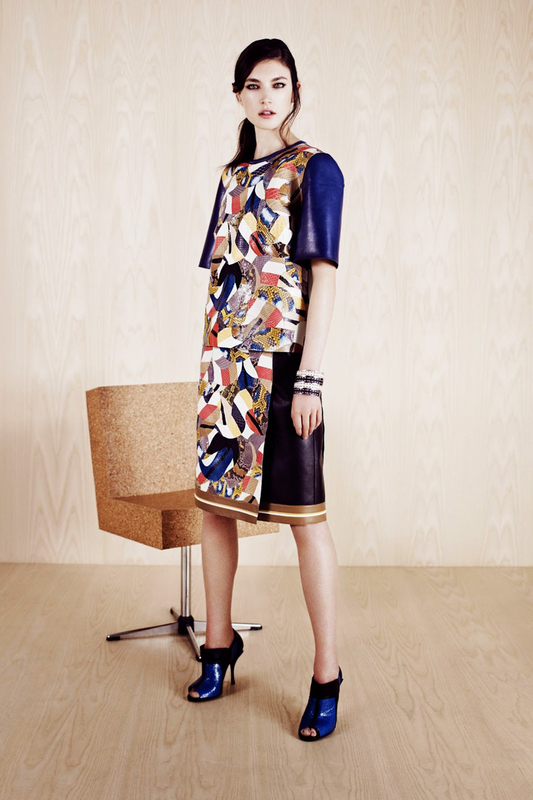 It just so happens that their Resort 2014 lookbook encapsulates everything I've been fascinated with over these past weeks - boxy masculine cuts, heavy textures, leather trims, geometric prints interspersed with bold shades of cobalt and burnt orange. Oh, and then there's the luxe croc embossed accessories. What's not to love? The collection is basically elegance personified, but with an edge, which is exactly how I'm imagining my winter wardrobe. 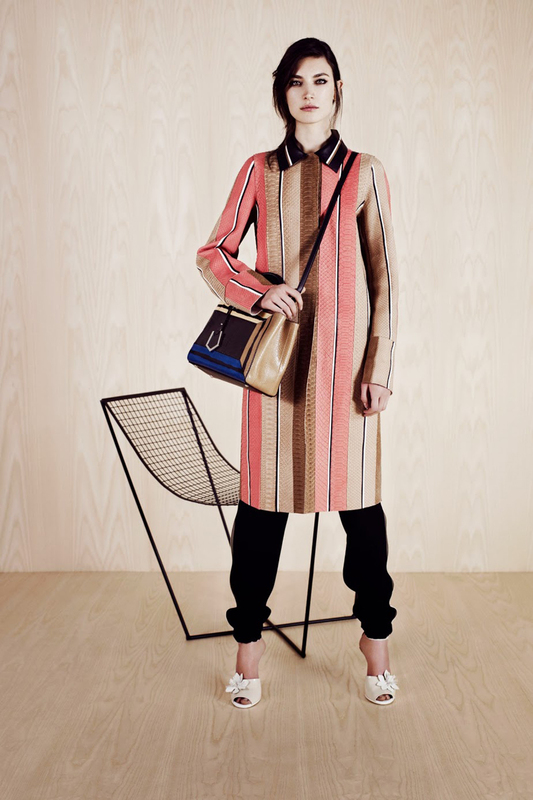 I suspect the closest I can get to these pieces on our shores is some version by Cue, or maybe Witchery, but if you're after the real thing... get your hands on some Fendi here. Such a great collection. Really loving the shoes! Everything in this collection is SO good.